To Wakaliga, Uganda, where Ramon Film Productions is knocking them bandy with action films of a unique strain. Nabwana IGG, who gave us the terrific Who Killed Captain Alex (budget 200), presents Operation Kakongoliro! 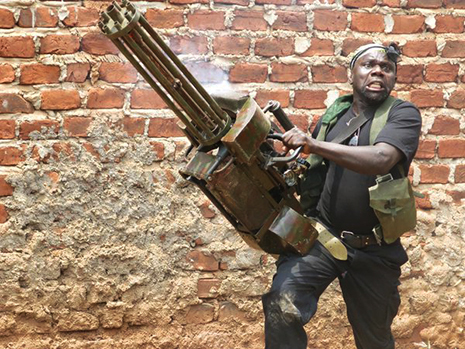 The Ugandan Expendables (budget: £2000).